Last week we heard that Professor Tom Williamson and Dr Andrew Macnair (Honorary Research Fellow in the School of History) had won the History category of the East Anglian Book Awards run by the Eastern Daily Press and Jarrolds for their book on William Faden. The book exploits GIS technology to interrogate Faden’s map of Norfolk, published in 1797, to shed new light on the development of the Norfolk landscape. 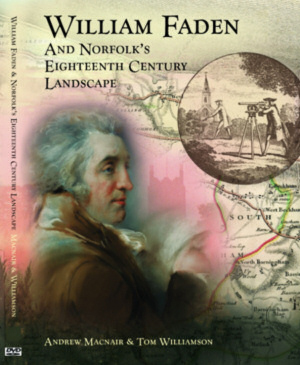 Buy William Faden and Norfolk’s Eighteenth-Century Landscape from Oxbow Books. 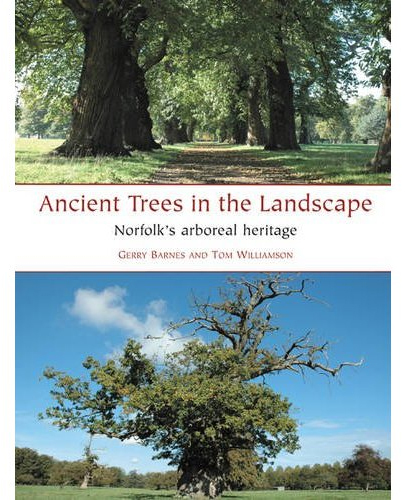 This week also sees the publication of Tom’s new book on the ancient trees of Norfolk, co-authored with Dr Gerry Barnes. Ancient Trees in the Landscape: Norfolk’s arboreal heritage is the result of many years work, including a survey of over 5,000 trees undertaken by volunteers around the county. Although focused on Norfolk, the book is relevant for a wider audience, particularly for the discussion on how to date trees accurately, traditional management practices and the use of trees in designed landscapes. Buy Ancient Trees in the Landscape from Oxbow Books.